I have still so much to show you. 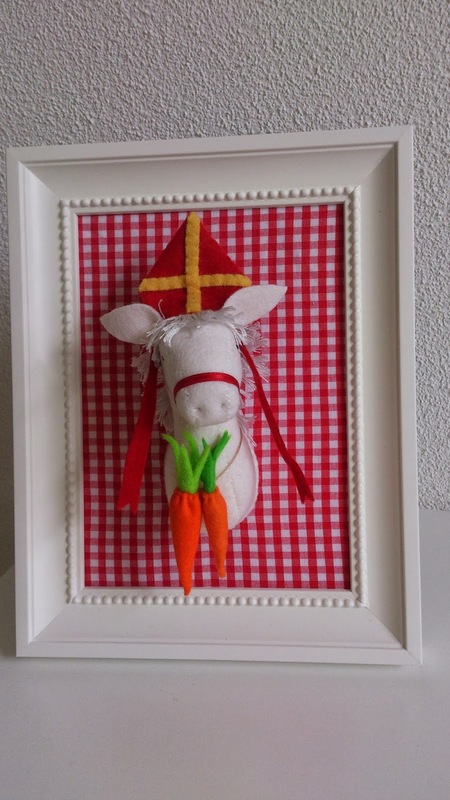 So making posts with one Sinterklaas craft and one other craft. 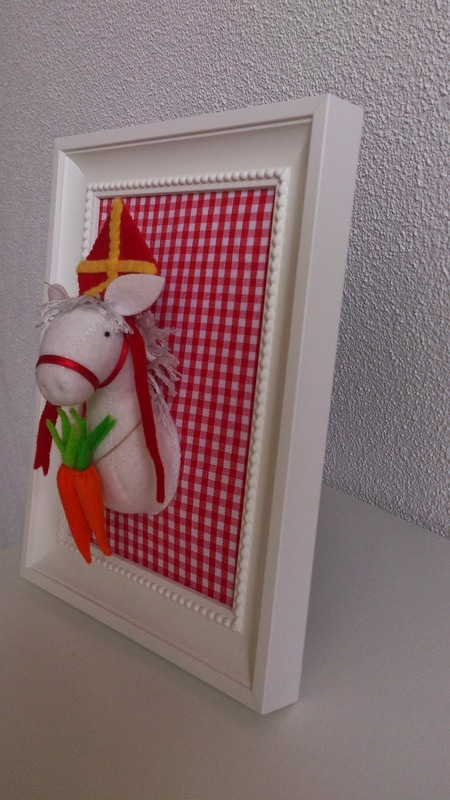 Today felt in a frame..
Sinterklaas always has his horse with him. We call him Americo, such a beautifull white horse. 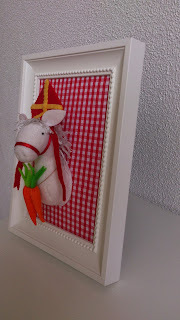 The planning for my side window is the cuddle pete's I made last year, with a still to make cuddle Sint, but also a Americo..
Nia used these frames for her beautifull Gorjuss stitching pieces. It was a very fun job to make this.. Kids like it so much!! Today a sweet colleague of mine is turning 55 years. 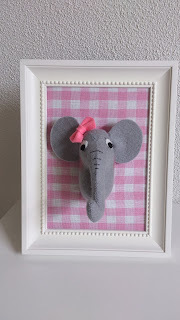 She is crazy for elephants and cuddles..
Let the frame designer also have a elephant piece in a frame. Got my needles and thread and made it. I put a white/pink fabric as backing.. I love how it turnes out!! Between all teh rain rain rain rain.. today we have a sunny day..
so now I'm going outside, before the time is up and I have to work again!! Both look so lovely!! Especially, Americo is charmingly sweet :) great job!! 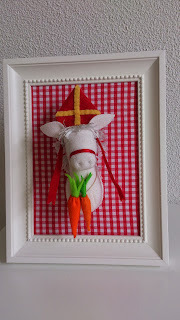 Ooo Anette wat een lieve schilderijtjes. 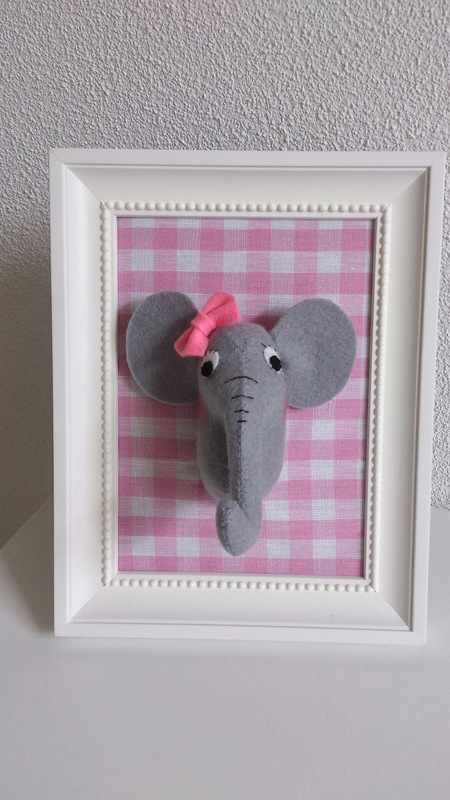 Als Lars de olifant ziet zegt hij vast, wil ik ook Oma. Je collega is er vast heel blij mee. 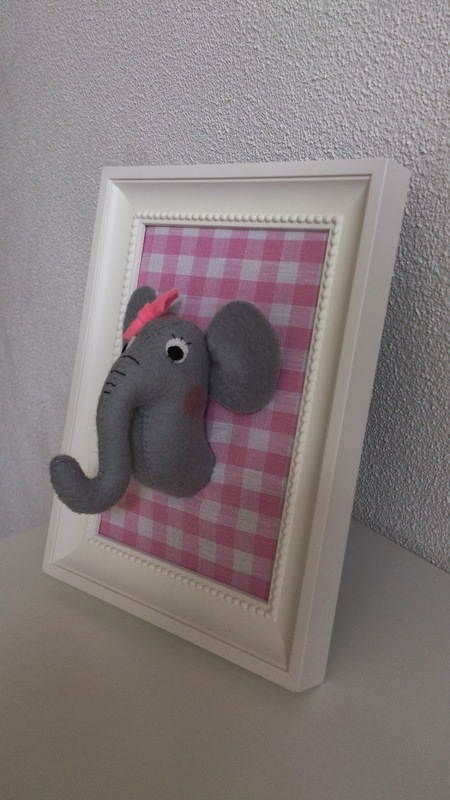 Leuk zijn die "gevulde frames" Annette, het is geweldig idee! Looks lovely and both fits the frame perfectly! sure your colleague enjoyed her gift ! Well done sweetie! Great work!